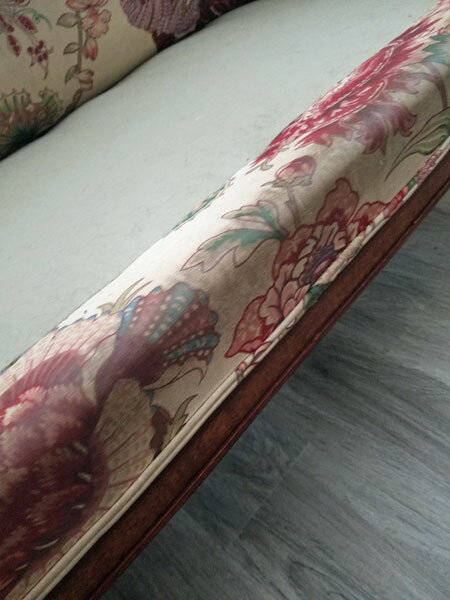 These pictures were taken before and after an upholstery cleaning by Chem-Dry of Tampa FL. The home owner said this sofa was where her three dogs like to rub their heads when they would come in from outside. She had resorted to covering it with blankets to keep the dogs from soiling it further. She was really concerned because the upholstery on the sofa matched the curtains in the room. If I couldn't get it clean then she was going to have to redecorate the entire room. 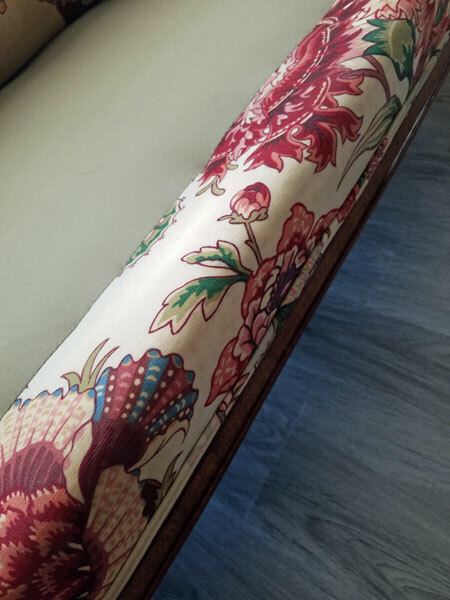 This particular sofa was difficult to clean because of the material and the printed pattern. The upholstered covering was made from cotton and the pattern had bright colors on top of large off white fields. When dealing with natural fibers you have to be concerned with color migration, like the red flowers spilling into the off white areas. To combat color migration on this sofa I locked the color in place with an acidic solution made by Chem-Dry, called Dye Lock. Dye Lock has dye defense which is a unique formulation that helps lock down dyes during the cleaning process. It worked like a charm. I had to really scrub the front of the sofa to release the soil build up. After the upholstery cleaning the sofa had improved greatly. You can see in the dramatic difference before and after the cleaning. If you have fine furniture but are concerned about having it cleaned. Let us take a look at it to see if we can help without damaging your upholstery.